Today, consumers regularly rely on the Internet to find medical information, as well as create their own digital data. Whether they search for symptoms on smartphones or ask for referrals in online communities or access their records electronically, they’re turning to technology to take care of their healthcare needs. TheWashingtonPost.com explained this modern medical miracle. “There’s no question that technology is shifting the doctor-patient relationship,” said pediatrician Wendy Sue Swanson, executive director of digital health at Seattle Children’s Hospital. According to the Pew Research Center, around 75% of American adults use the Web to search for health information each year. But it’s not only patients who are searching online. Providers also access the latest data and discoveries in online medical journals, as well as learn from their peers in industry articles. 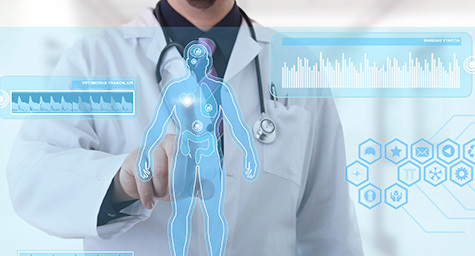 While it will take some time for traditional healthcare to fully convert to these electronic methods, progress is made every day as both patients and providers become more comfortable and connected with digital data. Industry experts agree that electronic health records and online medical access empower consumers about care. A recent poll revealed that half of patients have online access to their health information and most want the ability to digitally message their doctors. Some patients feel that their doctors are overscheduled and overburdened, which leads to rushed appointments and a lack of personal interaction. But with digital records, patients have their personal medical data literally at their fingertips. One notable advance is the OpenNotes System, which allows patients to digitally access much of their medical data like lab results and complete doctor notes from visits. OpenNotes started as a research project in 2010. Doctors initially worried that so much open access to health information would lead to more patient confusion and work. But research showed that 75% of project patients actually felt more confident and comfortable with their care with this open access. Today, almost 5 million patients nationwide have access to OpenNotes. Another advance is bringing biosensors to smartphones. These biosensors enable patients to capture their own personal health data such as blood pressure, heart rate, glucose levels, and more. Then, patients can track and test their own medical status and send those results directly to doctors. Check up on the latest in healthcare marketing. Contact MDG Advertising today at 561-338-7797 or visit mdgadvertising.com. MDG Advertising, a full-service advertising agency with offices in Boca Raton and New York City, is one of Florida’s top healthcare marketing companies and branding firms, whose healthcare clients include Dental Care Alliance, MDVIP, Max Planck Florida Institute, HCA East Florida, Primary Pharmaceuticals, and MD Now Urgent Care Centers. MDG’s core capabilities include branding, logo design, print advertising, digital marketing, mobile marketing, email marketing, media planning and buying, radio and TV advertising, outdoor, newspaper, video marketing, infographic development, website design and development, content marketing, social media marketing, and SEO. To learn more about the latest trends in healthcare marketing, contact MDG Advertising today at 561-338-7797.